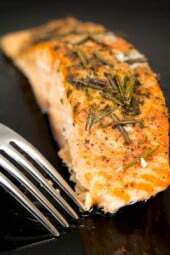 Juicy salmon with rosemary, lemon and garlic, takes minutes to prepare which is always perfect for busy weeknights. Salmon is high in protein and has heart-protective benefits associated with omega-3 fatty acids found in their fish oil. It is suggested that we eat fatty fish twice a week, I don’t always manage that but I try! Combine lemon juice, rosemary, salt, pepper and garlic. Brush mixture onto fish. 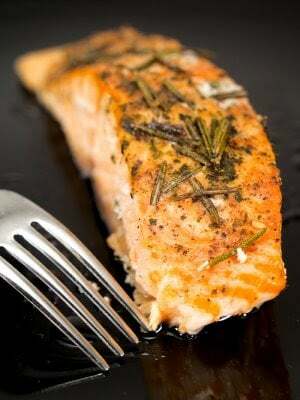 Spray the rack of a broiler pan with olive oil spray and arrange the fish on it. Broil 4″ from the heat until fish flakes easily when tested with a fork, approx. 4-6 minutes per 1/2″ of thickness. If fish is more than 1″ thick, gently turn it halfway through broiling. Love how easy and delicious this recipe is! Best Salmon recipe I have ever tried! Delish!! I made this last night and it was wonderful! I didn’t have any garlic so left that out but the rosemary really put the fish over the top! Thank you so much for another winner. We ate it with a baked potato and your baked tomatoes with pesto and Parmesan cheese. 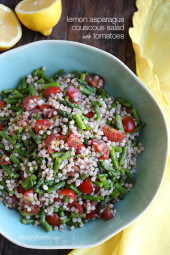 Quick and easy yet totally delicious meal! Could this be cooked on the stove somehow? no oven. You can cook it about 5 min on each side covered in a skillet. 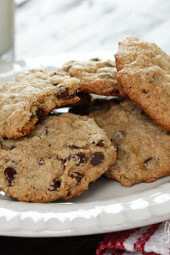 Do you have the other nutrition facts for this recipe? Calories? Fat? Etc? 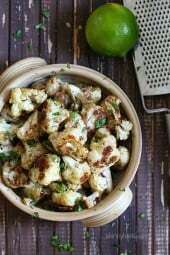 Has anyone tried leftovers of this recipe cold in a salad? I am planning to cut the recipe in half since I am by myself. Have the first piece on Sunday night and then bring the 2nd piece with me to work and eat it cold with baby spinach. Is it good the next day over a salad? Easy and delicious. A great combination. I ended up putting the recipe into my fitness pal to calculate calories on this. It came out to 175 calories per serving. I am curious to know the calorie count in this as well please. Several people have asked what the calorie count is and I am also interested in the answer. Could you please post it. Do you know what the calorie count is? This is one of the best tasting and easiest salmon recipes I've found. The salmon is never dry and always flavorful! Thanks for the recipe! i DON'T SEE THE POINTS ON THE BOTTOM OF RECIPE? SOMETIMES I DO HAVE TROUBLES WITH THE WW WEB SITE. DID I MISS THEM? I LOVE this dish. My family and I make it every other week. The lemon juice really goes with the fattiness of the salmon. Thanks for such a great recipe!!! I made this dish last night and wow so delicious. Very moist and flavorful. I decided to back it instead of broiling it at 350 for 15 minutes. Still delightful. Thank you. I ended up using the entire portion of mixture on one salmon fillet… it was delicious! And I don't suppose it changes the points…? It's only garlic and lemon juice and herbs! This recipe is quick and easy. My whole family loves this one and they love that I make it so often. I would highly recommend this recipe if you like salmon. Very nice. Easy and quick, elegant & tasty! I "finished" the salmon after cooking with just a little added lemon juice to bring out a little more fresh light taste to the dish. I'm just learning to like salmon, and this recipe is delicious. I have to leave out the lemon because my husband really dislikes it. It was still great! It's set to broil rather than adjust the oven temperature which cooks from the flame. What temperature do you set the oven to?? This is flavorful and light. Will definitely be making this again! I made this tonight with some tomato and herb cous cous. Very tasty and very quick. Awesome! Sounds like a perfect combination with fish!! I made this last night for some friends, along with the bruschetta with tomatoes and basil, and sauteed zucchini julienne…it was AWESOME! I absolutely love your website! So lucky to have found it, especially living in Singapore now – I don't have my old WW resources! i miss salmon! back in oz, we have salmon steak almost every week. now here in the philippines, it’s too expensive! I never had one since 2006! so that pic makes me hungry. yum! Oooohhh. Fish is my friend! I’m always looking for new ways to cook it.